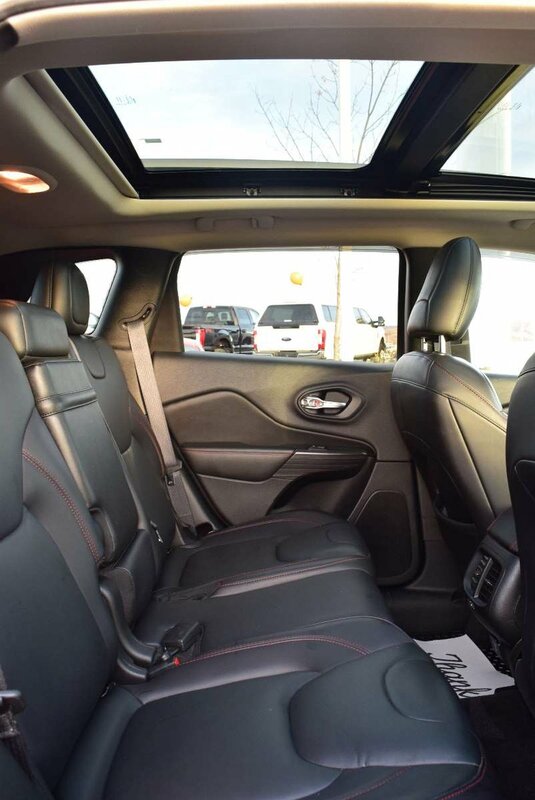 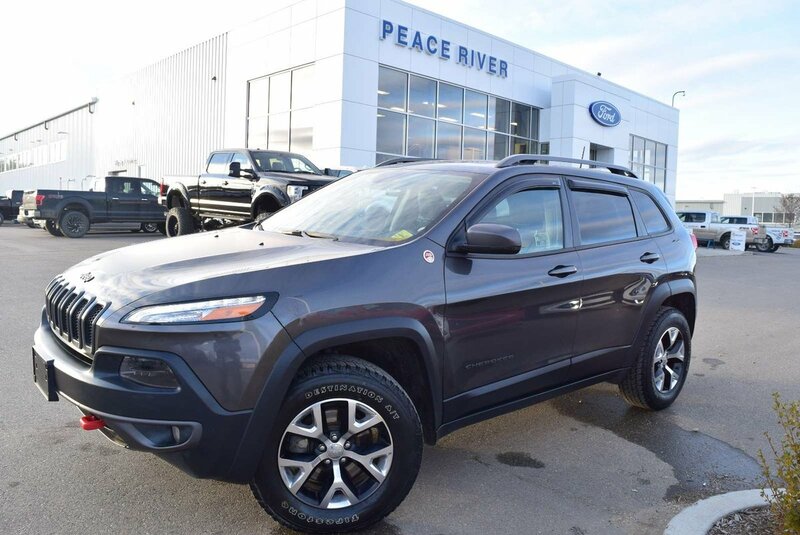 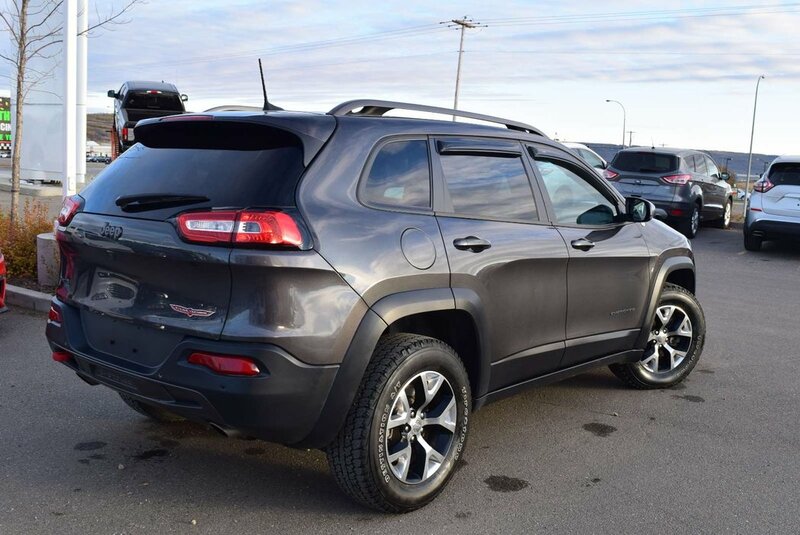 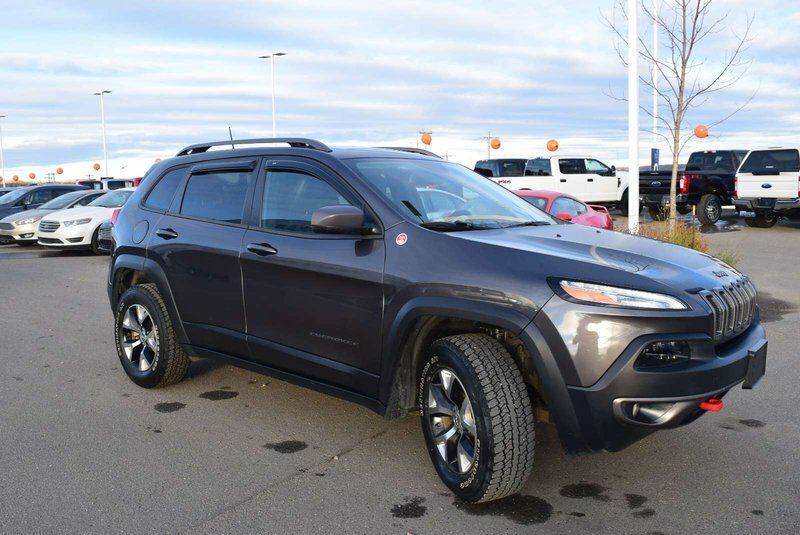 Up to any task, our 2016 Jeep Cherokee Trailhawk 4WD in Granite Crystal Metallic Clear Coat has got you covered! 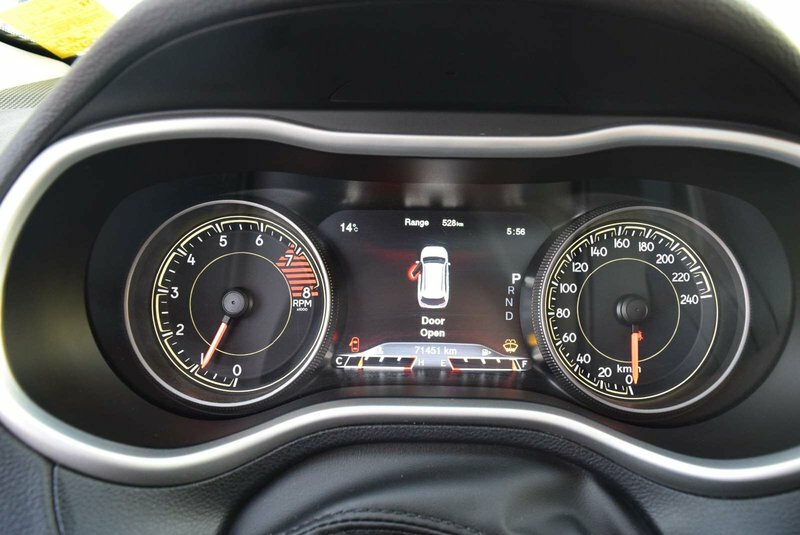 Powered by a 3.2 Litre V6 that offers 271hp while mated to a class-exclusive 9 Speed Automatic transmission. 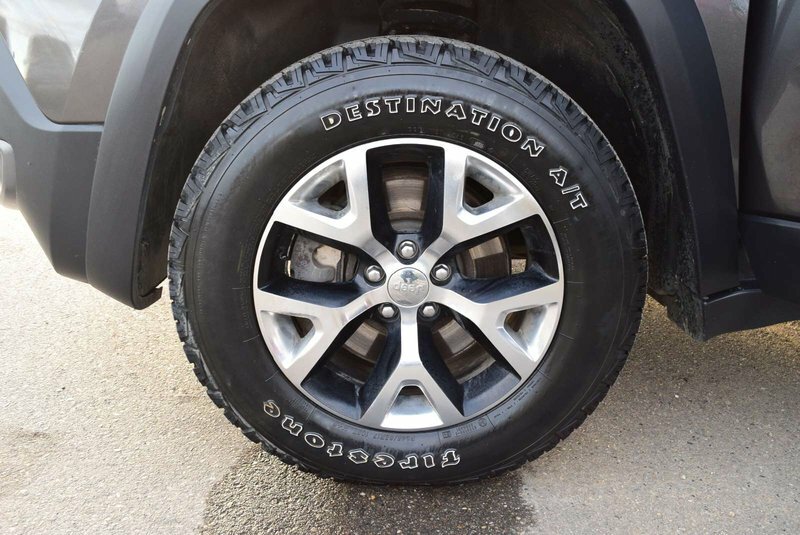 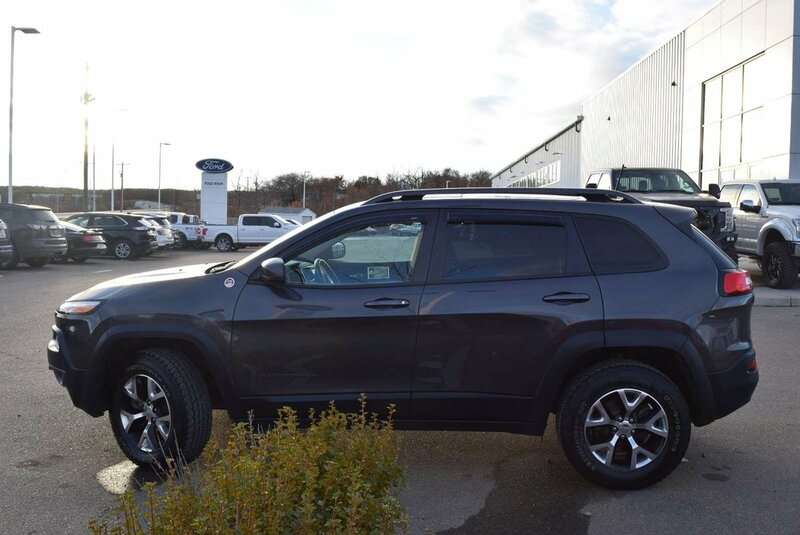 With this Four Wheel Drive, you will have fun taking the road less traveled courtesy of the Jeep Active Drive Lock system and a locking rear axle, a 1-inch lift with off-road suspension with functional skid plates. 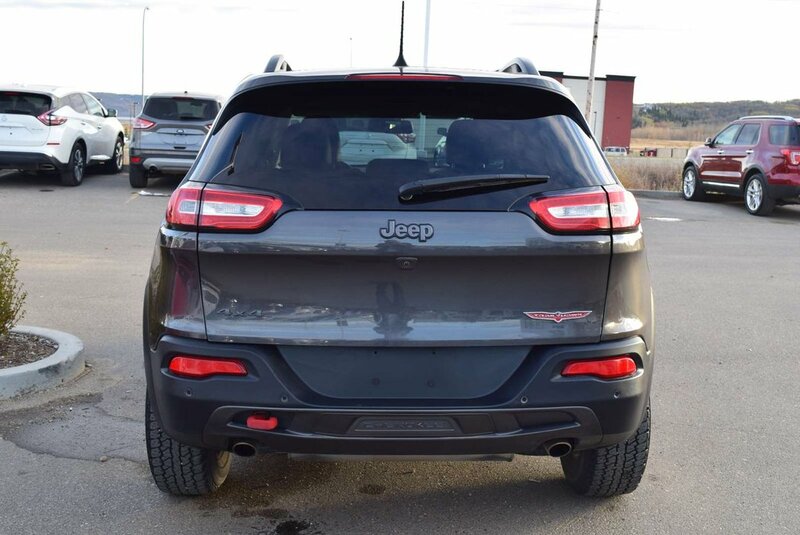 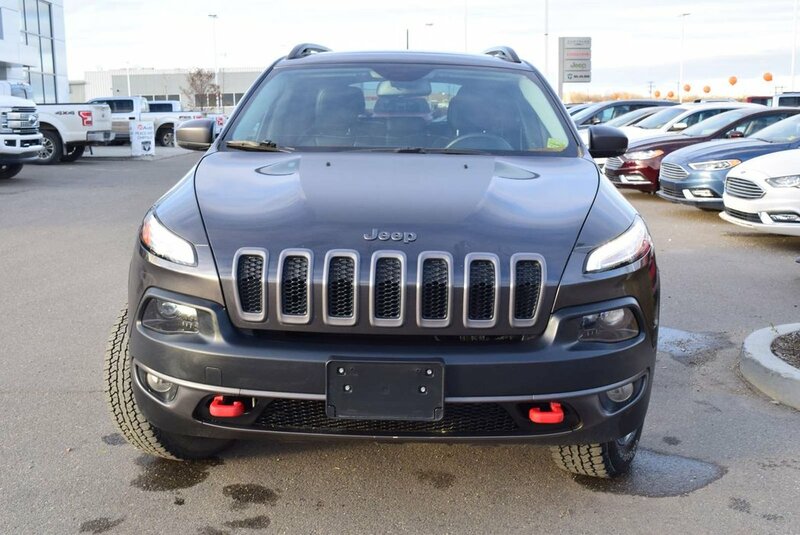 Take some time to admire the exterior of the Trailhawk that combines classic Jeep elements with a modern and aerodynamic shape accented by off-road aluminum wheels, all-terrain tires, and accent colour tow hooks. 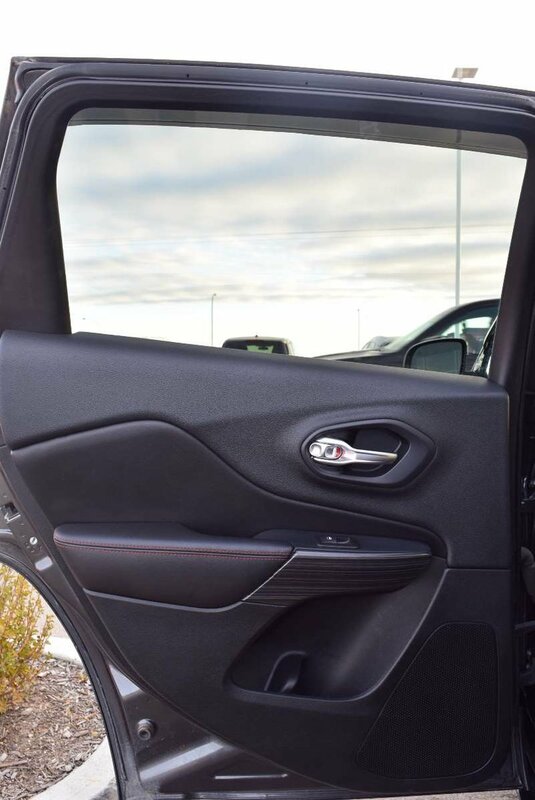 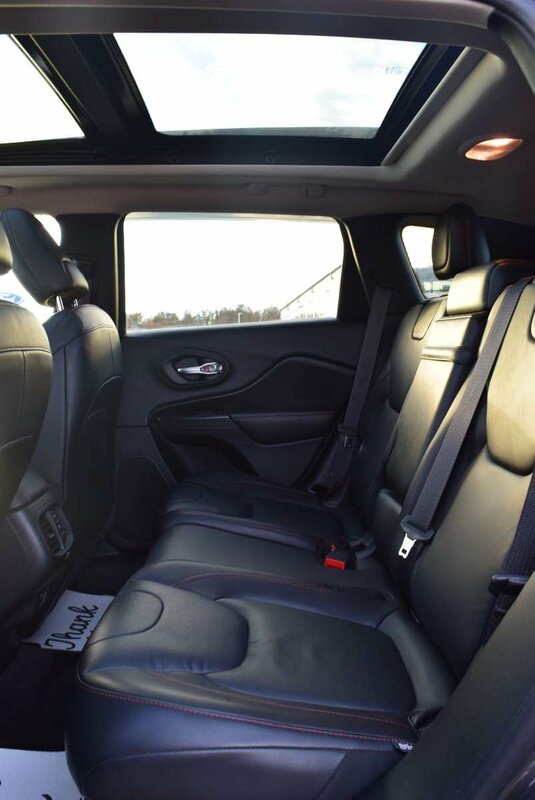 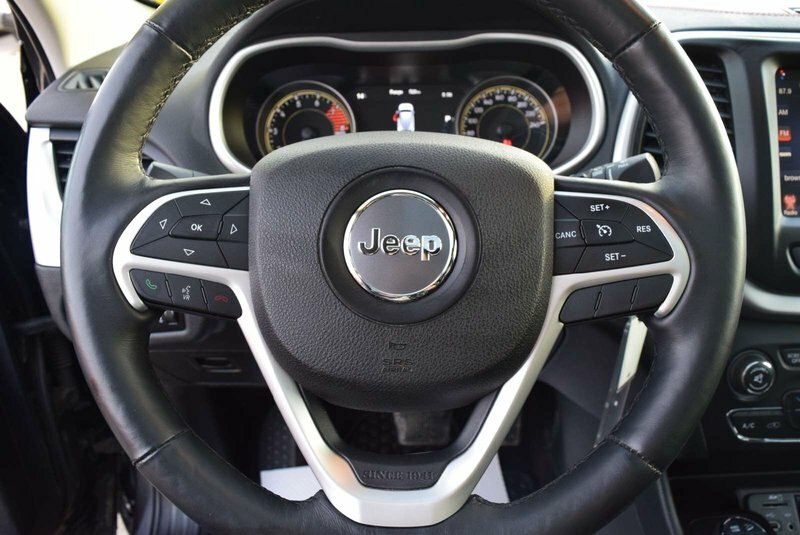 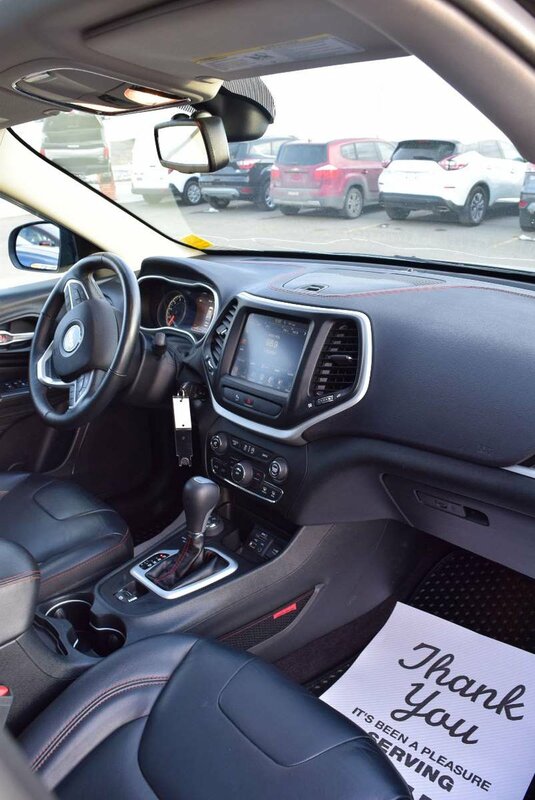 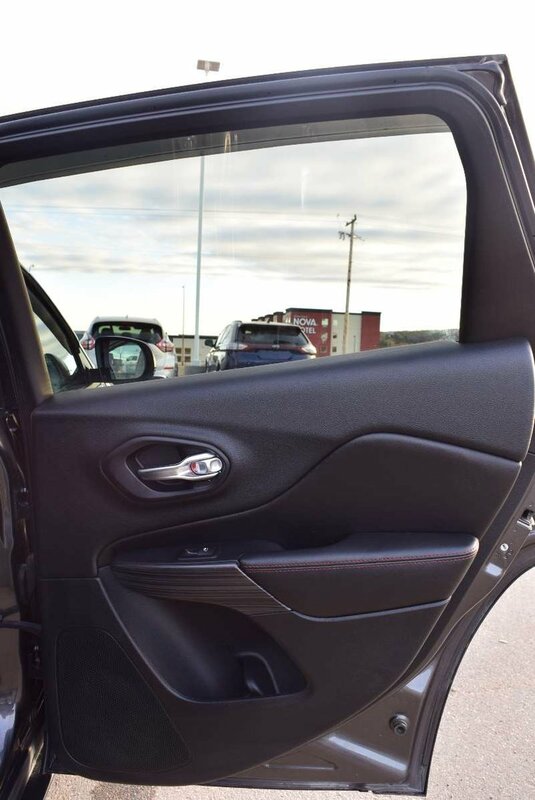 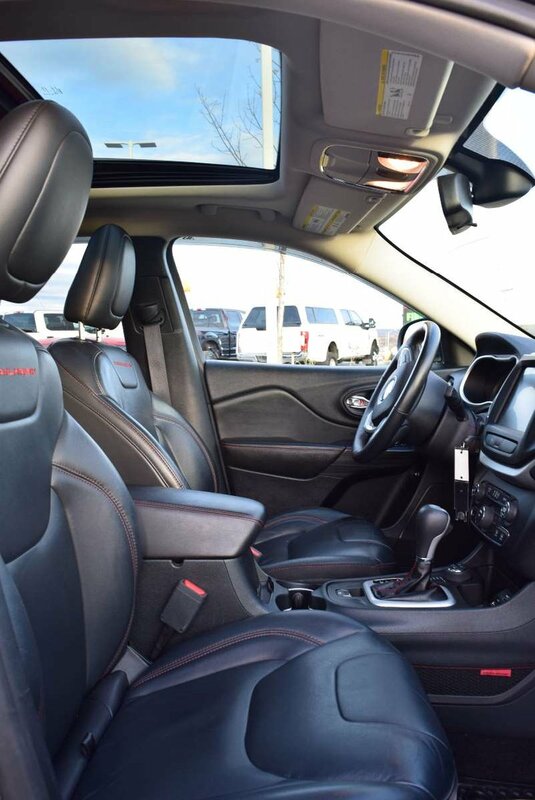 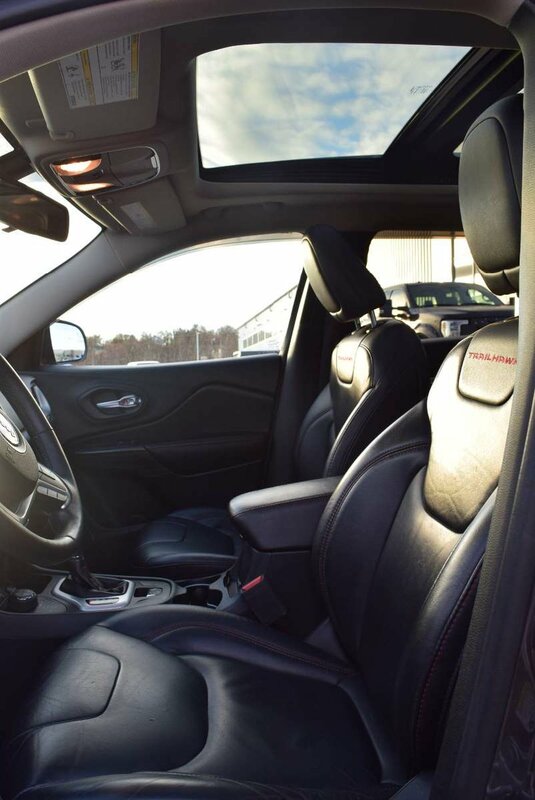 Inside this Trailhawk, you'll see that the cabin's layout is driver-friendly with keyless remote entry, heated leather front seating, and full power accessories. 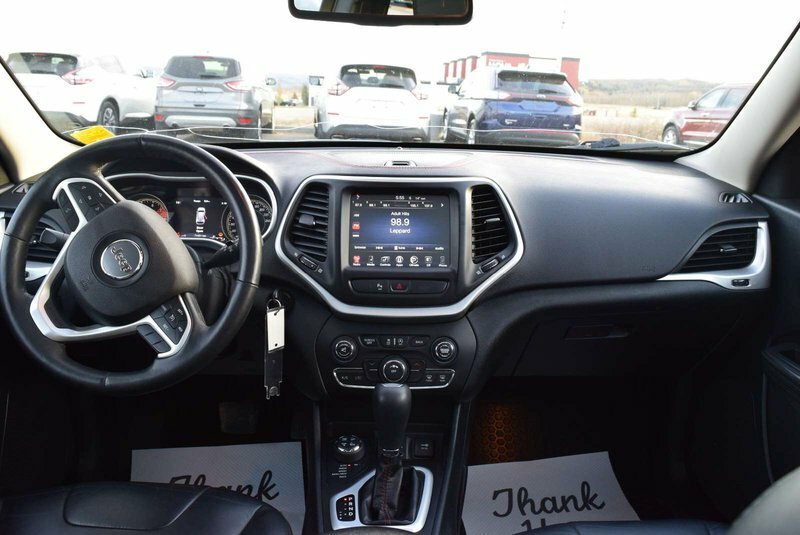 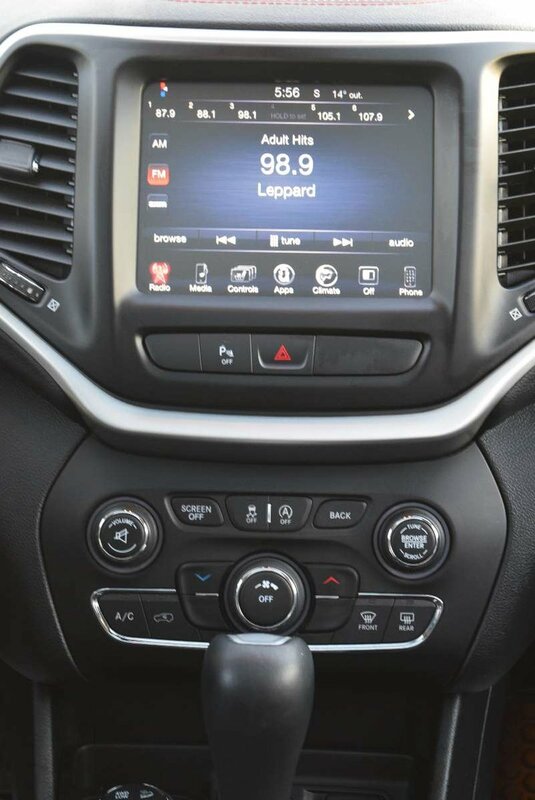 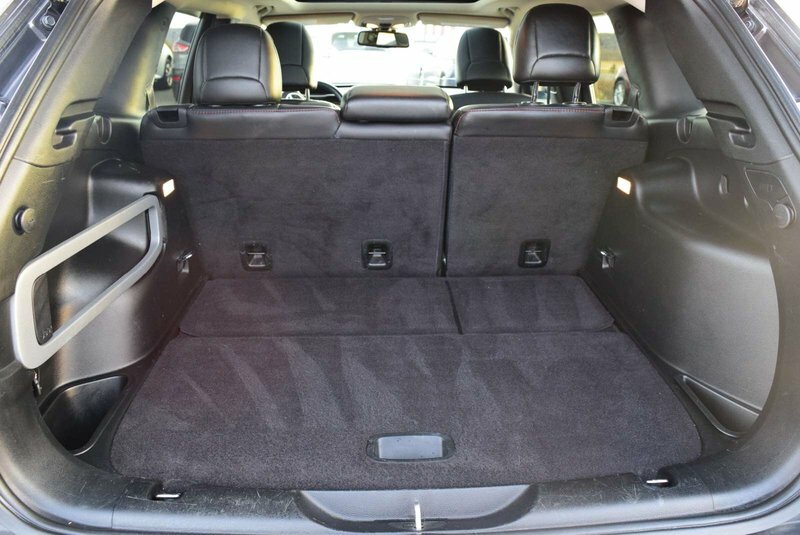 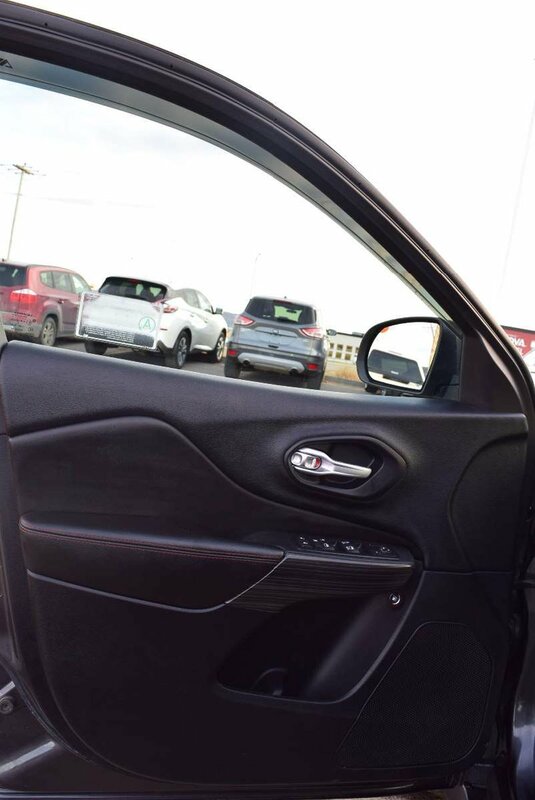 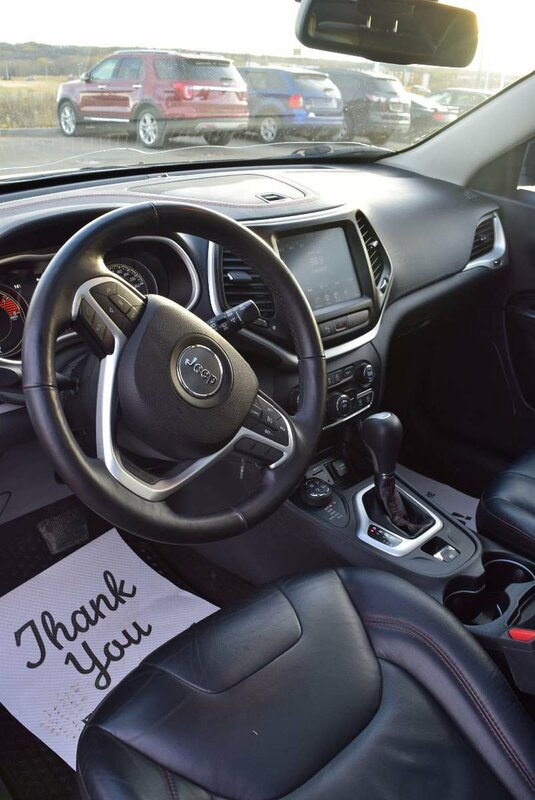 You'll also enjoy staying connected via wireless phone and audio, a six-speaker audio system with a touchscreen interface, USB/iPod integration, and available satellite radio. 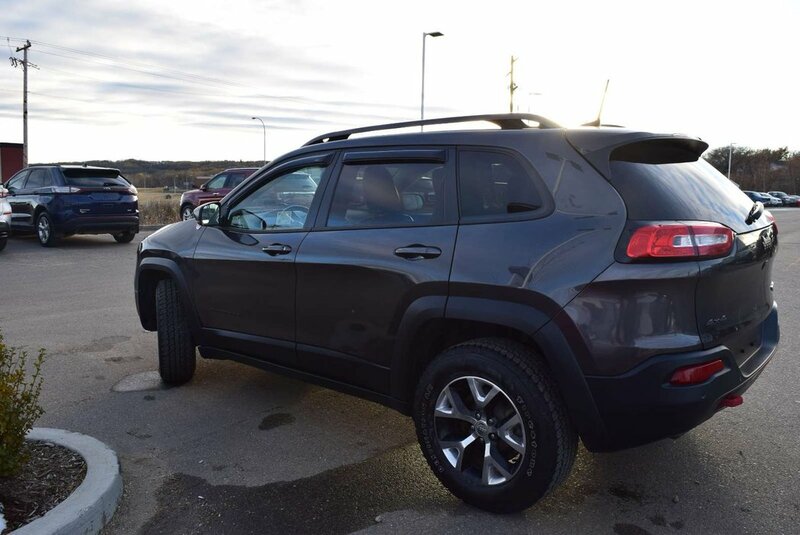 Whether out pounding snowdrifts into submission or coasting down the freeway, our Jeep Trailhawk has all the creature comforts you'll need to keep that smile on your face.